EW was the first to release the two new images. 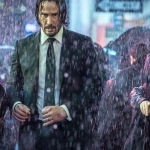 In one, we see Wick walking through a crowd in the rain. 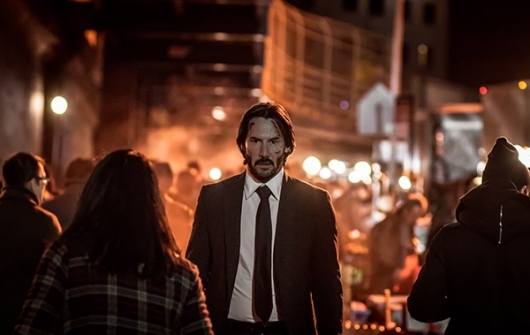 We can presume it is New York City given the “One Way” street sign in the back, and the fact that when we last saw Wick, he was given a one-hour head start by Winston (Ian McShane), before everyone would be gunning for the $14 million dollar bounty that is on his head. Laurence Fishburne also stars. John Wick: Chapter 3 opens in theaters on May 17, 2019.